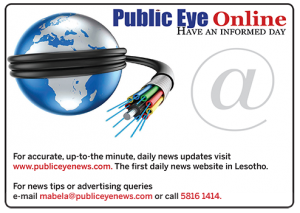 MASERU – Being widowed at 25 is not necessarily Lineo Mokhethi’s greatest worry. But the thought of failing to build a home for her only son because the site her late husband left her is still embroiled in an unrelenting court case that has practically left her almost penniless, horrifies her. Lineo Mokhethi has been working in the textile factories since her husband passed away two years ago. When her husband died mid-2016, the couple had just bought a site and was planning to build a home as soon as their finances allowed. 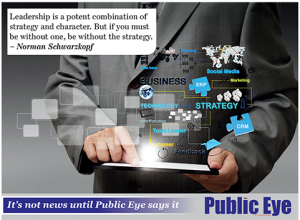 But their plans were derailed when the husband, who was the sole breadwinner in the family, suddenly passed on after a short illness. Her husband’s passing obviously hit the family hard as the then unemployed mother of one struggled a lot to make ends meet. In the midst of Mokhethi’s struggles, she found solace in her son and pledged to work extremely hard to ensure that the little boy did not want for anything. First, she got a job at the textile industries and on top of her to do list, was to develop the site her late husband had purchased before his demise. Little did she know that her woes with regard to the site were only beginning. A year after her husband’s passing, she went to inspect the site and was dismayed to find that another developer had already placed bricks at the site and was preparing to start construction. “Although my husband was late, I was aware that the sale of the site had been completed and we had all legal documentation pertaining to the ownership of the land,” she says. Although she paid heed to the suggestion, she is however still awaiting the court’s decision to determine who the rightful owner of the contested land is between the other claimant and herself. “Now my plans to build a home for my son have been put on hold and I have no idea for how long,” she says emotionally. But what aggravates the case is that the other person with whom she is fighting for the land is also in possession of papers that prove he is the legal owner of that land. The matter is also being handled by the Land Administration Authority (LAA), an authority responsible for the issuance of land leases, registration of transfers, mortgages and the survey and mapping of land. The body also resolves registration and cadaster disputes, and advises government and corporate bodies in all matters relating to land administration section 5(2) Land Act 2010 but does not resolve land disputes. In the event they receive a land dispute report, LAA’s Lebakeng Matlatsa says they only meditate between feuding parties. But if the meditation fails, he says, they refer the matter to court for determination. He notes there is need for a Land Dispute Resolution Authority where issues of arbitration and conciliation would be dealt with. The body, he says, would also hear land related cases and hundreds of citizens who are being swindled of their land. The Land Act of 2010 strengthens women’s property rights by providing for equal security of tenure for men and women through equal and joint land ownership for men and women, inclusion of women in land titles, and inheritance of property. It establishes representation of women in land allocation structures across all land tenure systems. 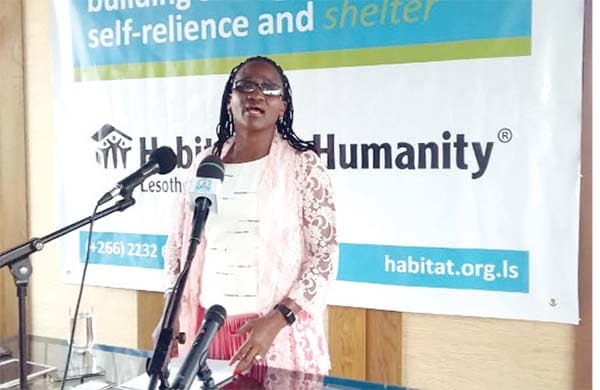 Habitat for Humanity Lesotho National Director ’Mathabo Makutla notes cultural practices such as child marriage and marginalisation of women and girl children in the inheritance of property are factors undermining women’s access to land and housing. Makutla contends that women have been marginalised for the long time in history when it comes to decision-making, especially on land and property ownership and inheritance despite their ownership of the property or the contribution they made towards its acquisition. She says after the death of a husband, the widow is normally challenged for her rights to her late husband’s properties and land by extended family members who, due to cultural practices, can even throw her out on the streets. Makutla notes that the experience is unbearable as it not only affects the woman but her children as well. She says although both the customary law and the civil law work in tandem in Lesotho, there are gaps and challenges that need to be addressed to give men and women equal access to land. She shows that although the Land Act provides for equal land rights to men and women, there are several challenges that women face which include, among others, the alignment between the dual system and traditional norms and practices in Lesotho. She says Habitat for Humanity’s aim is not to challenge the laws of this country, or make a particular law inferior to the other, but to acknowledge the challenges and gaps brought about by lack of alignment of the two laws. She observes that there is apparent incoherence between statutory and customary laws with the latter not well designed to address women’s land and property rights. Makutla says they are currently working towards strengthening inheritance rights by advocating strengthened inheritance rights laws and processes, targeting to reach more women through partnering initiatives. “We are also working on promoting acquisition as well as knowledge of drafting wills and formalisation of property rights processes and to ensure that marriages and succession planning are formalised in this regard. “We are also working on facilitating policy changes and systems in order to have better access to decent housing and identify the need to consolidate and align inheritance laws and other laws affecting women and their rights,” she says. Habitat for Humanity Lesotho recently made a report providing a basis for the consolidation of the various efforts towards securing women’s land rights in Lesotho. The report shows that a sustainable change towards gender equality in land allocation and inheritance in Lesotho will make a positive difference for women. Titled “Women’s Access To Land and Housing in Lesotho” (2018), the report notes that women need secure access to and control of land in order to realise their human rights. According to it, in order for women to realise their land and inheritance rights, it is important for the policymakers to have mechanisms and institutions to guide the practice. It further shows that women in Lesotho negotiate land rights in an environment characterised by increasing competition over land adding that climate change related drought, commercialization, and HIV and AIDS are some of the processes that fuel competition for land in Lesotho. The report also shows that women and men in Lesotho negotiate for land and housing under increasingly difficult conditions. According to the report, the patriarchally driven social norms, stereotypes and persistence of male dominated land governance structures in Lesotho perpetuate the perception of women as minors. These include male dominated gender norms, and cultural perception of woman’s place that are institutionalised. The report further notes that the continuation of practices like early marriages and marginalisation of women and girl children in inheritance of property also undermine women’s access to land and housing, adding that these views have an influence on the perception, interpretation and utilisation of progressive policies and legal instruments that are aimed at enhancing the status of women. “The environment in which women negotiate for land is characterised by multiple land governance institutions which align, compete and at times contradict. “The co-existence of statutory and non-statutory institutions governing land allocation and inheritance creates a complex environment which offers opportunity challenges for women’s land tenure,” reads the report. It also shows that the regulatory environment within which women negotiate access to land has been improving as a result legislation and institutional changes introduced by the government of Lesotho. According to it, the number of women benefiting from land allocation, land registration and land inheritance has increased as women take advantage of the new environment to negotiate secure land tenure. However, implementation failure, limited awareness of the new laws, inconsistency in the application of the law, capacity limitations and continued dominance of patriarchy and male biased norms undermine women’s land rights,” reads the report. It further shows that although Lesotho has updated and passed progressive laws and regulations to enhance gender equality in land and housing control, there are bottlenecks caused by failure to implement policy which is caused by lack of capacity and resources to implement. The report also says local authorities take long to complete land allocation requirements which increases costs to those seeking to secure land through the formal land delivery system. It further shows that the limited awareness to the new laws and provisions by communities and women undermines their utilisation.